A few weeks ago I had the pleasure of attending the Dr. Seuss festival in beautiful downtown Abilene, TX.It was put on by the wonderful people of the Children’s Art & Literacy Festival, or CALF for short. 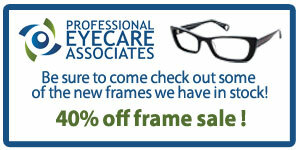 Professional Eyecare Associates was also very happy to be a sponsor for this event. Our sponsorship of this fine event was definitely inspired by the efforts of one very special person. She is a 7 year old ball of energy and beauty named Sara Jane Shanks. My daughter is enamored with anything Dr. Suess related and I couldn’t be happier. I myself am an avid reader and I also have some favorite authors ( more on that at a later date), so I really try to encourage my children to read. SJ is crazy about Suess, Lorax, Cat in the Hat, Yertle the Turtle, Sam I AM, and we got pictures with all of them at the festival. SO, thanks CALF, especially from a 7 year old little girl. My only advice, next time we have an outdoor festival in Abilene, let’s pick a month without so many 100 degree afternoons! !